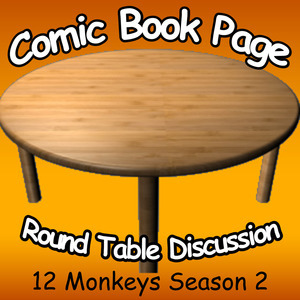 John and Kay have a spoiler filled discuss about the second season of the 12 Monkeys television series. This entry was posted in Podcast, Podcasts, PopArtsPlace, Review, Television and tagged 12 Monkeys, Aaron Stanford, Alisen Down, Amanda Schulll, Amily Hampshire, Andrew Gillies, Barbara Sukowa, Cassandra Railly, ComicBookPage, Demore Barnes, James Cole, Kirk Acevedo, SyFy, Todd Stashwick on August 26, 2016 by Kay. 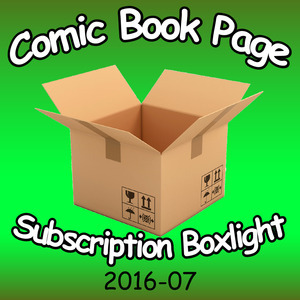 John and Kay open up and discuss the contents of some recent subscription boxes. This entry was posted in Podcast, Podcasts, PopArtsPlace, Review and tagged Arctify, ComicBookPage, ComicCon Box, DC, John Mayo, Legion of Collectors, Marvel Collector Corp, Marvel Collector Corps, Marvel Collectors Corp, Smuggler's Bounty, Star Trek, Star Wars, Superherostuff, threads, Wizard World, Zavvi, ZBox on August 24, 2016 by Kay. John Mayo, of ComicBookPage, and Kay Kellam, of PopArtsPlace, talk about their adventures at Comic-Con International 2016 in this second part of the two-part Comic-Con 2016 coverage. This entry was posted in Convention, Podcast, Podcasts, PopArtsPlace and tagged CCI, Comic-Con International, Hoopla, San Diego Comic-Con, SDCC, Star Trek on August 12, 2016 by Kay. This entry was posted in Convention, Podcast, Podcasts, PopArtsPlace and tagged CCI, Comic-Con International, San Diego Comic-Con, SDCC on August 5, 2016 by Kay.